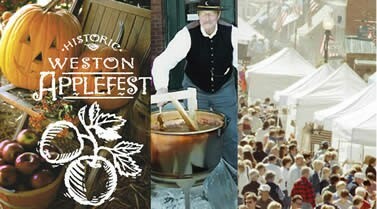 Fall Festivals have been a tradition since humans made the switch from hunter-gatherer societies to agriculture ones. Really, fall and harvest festivals are a time honored acknowledgement of humanity’s dependence on the land to provide us with continued existence. These festivals, usually featuring fresh fruit and vegetables which had not been available for many months, were rewards for the spring and summer toil. As one, men and women were drawn back to nature as she once again fed them. It is not surprising that these events took on spiritual significance as labors were rewarded, bodies nourished, and neighbors united. The celebration of the fall harvest has experienced many changes and transitions throughout the millennia, but at the core of every fall festival is the promise of another year with family, friends, and full bellies. Why not join us as we celebrate each other and the promise of another tomorrow? With autumn rapidly approaching Freedom’s Frontier National Heritage Area is gearing up for our own Fall Festivals. The Midwest and Freedom’s Frontier are historically rich agricultural regions. In fact, it was for this reason the first American settlers were drawn to the region. In this way, fall festivals are also a celebration of one of the prime reasons Kansas and Missouri became states in the first place! Several locations throughout the area will be having festivals you can attend. Overland Park will be having their annual Fall Festival on the 26th of September. They will have music, a farmers’ market, a parade, a car show, and a host of smaller events available to the community to celebrate the arrival of fall and its harvest! If you’re near downtown Overland Park, join in the festivities! Fall also signals the arrival of apples! Weston Missouri has an annual apple festival, Applefest to celebrate these red fruit, this year it will be on October 3rd and 4th. They will have all the apples and apple products you could possibly eat. In addition, there will be live music and arts and crafts to decorate your home with a little fall flavor. For those of you who just can’t get enough of fall colors. The Maple Leaf Festival in Baldwin, KS is on October 17th and 18th. This event celebrates local culture as the leaves are at their most colorful. There are over 300 craft booths scheduled, a parade, and a quilt show. If learning about the Santa Fe Trail, a National Historic Landmark 1856 Battlefield and a 1890 Farmstead interest you, head east out of Baldwin City on Hwy 56 just three short miles to the Black Jack Battlefield & Nature Park. There you will find John Brown & W.B. Brockett presenting each side of the fiery conflict that was the Battle of Black Jack. Interactive tours and Border War around the Campfire will be presented at set times. So if you like the sound of a community of fall enthusiasts of all types, then head on over to Baldwin City the third weekend of October (17th & 18th)! These aren’t the only events going on. Shawnee Indian Mission and Missouri Town 1855 have events going on throughout the fall to celebrate the season. Missouri Town is holding their 40th Annual Festival of Arts, Crafts, and Music. You may even see Freedom’s Frontier there! 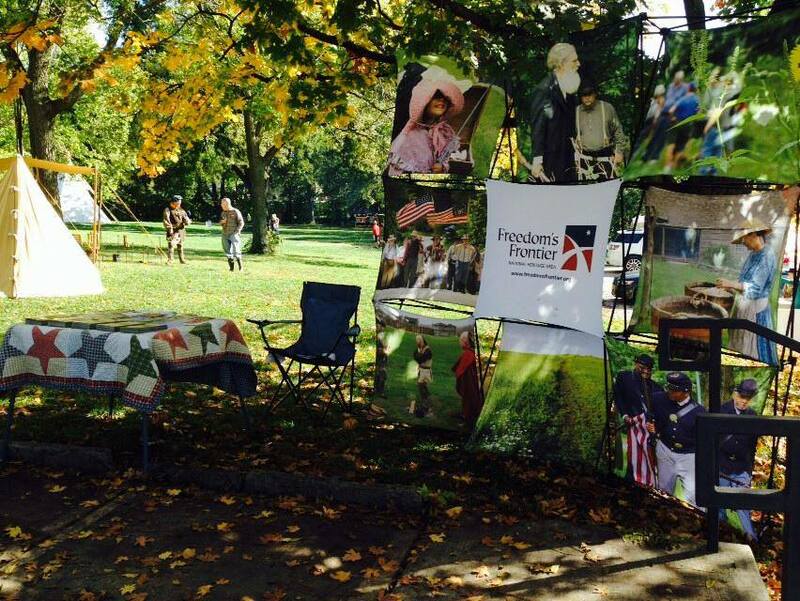 Stop by and say “Hi!” Keep an eye on the Freedom’s Frontier events calendar to know where to be this fall!